The flags of four nations have flown over Tucson over the course of the last 500 hundred years. At various times the flags of Spain, Mexico, The United States, and the Confederacy have flown over the city. Location: Lies along the Santa Cruz River in a flat plateau of the Sonoran Desert that is rimmed by the Santa Catalina, Tucson, Rincon, and Santa Rita Mountains. The city's humble beginnings began some 12,000 years ago with the migrating Paleo-Indians, a race of archaic hunters and gatherers. These early inhabitants included the Clovis people whose stone tools and arrowheads have been found at a mommoth-kill site in southeastern Arizona. More recent archaelogical remains of agricultural settlements dating from ca. 1000 B.C. have been found along the Santa Cruz River. 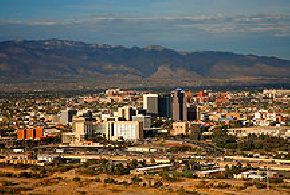 This and other evidence suggests that the area may have been continually inhabited since those ancent times, which would make Tucson one of oldest continually inhabited cities in the United States. Some say it is the oldest. Opinions vary. Between A.D. 200 and 1450, the Hohokam culture thrives in southern Arizona. The Pima and Tohono O'odham are most probably the descendents of that advanced civilization. This conclusion is based on oral tradition and the fact that O'odhams are found during the later periods of the Hohokam culture. 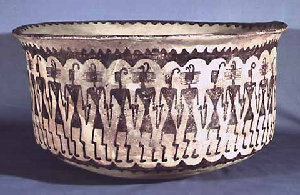 Pioneer period (AD 200-775). During this period the Hohokams lived as simple farmers raising corn and beans primarily. Colonial period (AD 775-975). This period is marked by major spurt in population growth. Sedentary period (AD 975-1150). Significant changes in society are brought about by greatly increased population growth. Classic Period (AD 1150-1400/1450). Drastic societal changes and many settlements are abandoned. The Hohokam culture gradually disappears and is eventually replaced by the Tohono O'odhams (formerly known as Papago) Indians. The Tohono O'odhams were primarily farmers, cultivating corn, beans, and cotton, but they also gathered wild vegetables, including the fruits of various cactus. In additon to farming, many O'odhams also engaged in cattle raising. Baskets made by the women from this period are intricate and beautifully made, and in demand by collectors. 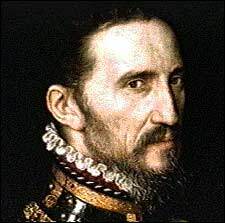 The Spanish conquest of the American southwest began in 1539 when Mendoza, the Spanish Viceroy of Mexico, sent Fray Marcos de Niza in search of the Seven Cities of Gold. 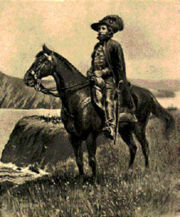 Based on the greatly exagerrated reports by the Friar, Francisco Vásquez de Coronado was enticed to make his famous expedition to Zuni Pueblo, in present-day New Mexico, of which Fray Marcos was the guide. The fabled city was not found and the expediton was dissapointing in the end, but it did open the way for the missionaries. The missionaries arrived in the early 1600's. Spanish Jesuits came up from Mexico to establish missions and convert the natives to Christianity. The Jesuit Father Eusebio Kino founded the missions of Guevavi (1692) and Tumacacori (1696), near Nogales, and San Xavier del Bac (1700), near Tucson, as well as a number of visitas including one at Tubac. In 1692 Father Kino passed through the Tucson area where he found a bustling Indian community nestled along the Santa Cruz River. This community was inhabited by the O'odham (in the native language the word means "the people"), called Pimas by the Spanish. Father Kino learned the Indians called their village "Bac"-where the water emerges. He added to the name in honor of his patron saint, San Francisco Xavier. And so it was that the mission San Xavier del Bac was given the name by which it is known today. 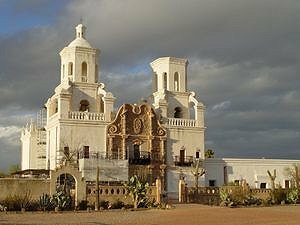 In 1697, Father Kino would, with his fellow Jesuits and the local Tohono O'odhams begin building the Mission of San Xavier del Bac, southwest of Tucson. Completed in 1797, "The White Dove of the Desert" has stood for over 200 years and is now a tourist attraction, as well as serving as the oldest Catholic church in the United States still serving the community for which it was built. The beauty of the mission, with elements of Spanish, baroque, and Moorish architectural styles, is highlighted by the stark landscape against which it is set, inspiring an early-20th-century poet to dub it the "White Dove of the Desert". 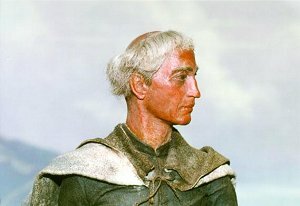 Father Kino himself never finished the mission because In 1765, the Bourbon Reforms began, and the Jesuits were expelled from the area, and the Franciscans took their place at their missions. In addition to building San Xavier del Bac, Father Kino established over 20 missions and visitas and introduced Christianity to the O'odham Indians. These visitas include The Mission San Agustin, a "visita" of San Xavier, which was also established on the west bank of the Santa Cruz River in 1757. By 1732 Tubac was a visita of Mission Guevavi and a mission farm and ranch by 1738. In 1752, Spanish troops defeated an army of 2,000 Piman warriors and established the Presidio of San Ignacio de Tubac, the headquarters of the Spanish in Southern Arizona. Tubac's biggest claim to fame is as the starting point for an expedition led by Juan Bautista de Anza in 1775. De Anza led nearly 250 settlers across deserts and mountain ranges on the first overland route to California. When the group finally reached the Pacific Ocean, they founded San Francisco. On their way to San Francisco, Juan Bautista de Anza and his colonizing expedition traveled northward along the Santa Cruz River. Along the way, they passed through a Tohono O’odham settlement the O'odham called "Stjukshon" which is roughly pronounced as "Chuk-son", which the Spanish morphed into "Tuqison", which evenutally became the "Tucson" we now know. The word itself means "foot of the dark mountain" (this would in actuality be the volcanic "A" mountain/Sentinel Peak, west of downtown). 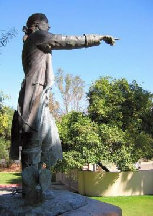 On August 20, 1775, the Irishman Hugo O'Conor, Colonel of the Royal Spanish army, relocated the company of the presido at Tubac and established the Presidio of San Agustín del Tucsón and laid the foundation for the modern day City of Tucson on the banks of the Santa Cruz River. The Royal Presidio de San Augustin del Tucson was completed by 1781, and it remained under Spanish rule as part of the region known as Pimería Alta until 1821, when Mexico became independent. Tucson remained the northern-most outpost of Mexico until the arrival of American soldiers in 1856.